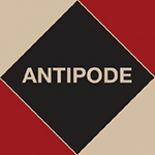 The Antipode Foundation is committed to “internationalising” its activities, that is, maximising the diversity of those submitting and subscribing to the journal, applying for International Workshop and Scholar-Activist Project Awards, and attending the conferences and meetings, and the summer school, it supports. Its translation and outreach programme is a step towards this. To facilitate engagement with scholarship from outside the English-speaking world – breaking down some of the barriers between language communities, enabling hitherto under-represented groups, regions, countries and institutions to enrich conversations and debates in Antipode, and opening all of the Foundation’s activities to the widest possible group of beneficiaries – Antipode’s Editorial Collective is responsible for the commissioning, reviewing, and decision-making of non-English essays. Whether new or already published, we’re looking for important papers that have been formative in a given field, at a certain time – papers that have contributed to theory and/or had implications for praxis. Papers are handled in much the same way as English essays; the advice of the International Advisory Board and other expert referees is sought, revisions are requested where necessary, and if they are sufficient the Editorial Collective approach the Foundation with a request for funds. Its trustees will only approve the translation of essays that have been subject to proper peer review and accepted by the Editorial Collective. Translated papers are published with translator’s/editor’s notes where necessary; these are intended to “situate” them, outlining their meaning and significance to the time and place in which they were originally published, and explaining any keywords less well known to Anglophone readers. This entry was posted on 20 December 2017 by Antipode Editorial Office in News and tagged Anglophone geography, Henri Lefebvre, Milton Santos, outreach, translation.